This review explains why you have to stay away from the cryptocurrency robot Z Trader. 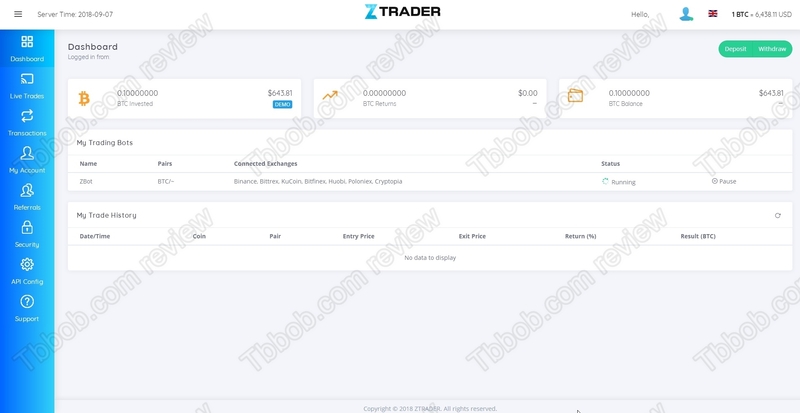 ZTrader is a software that can trade cryptocurrencies with automated strategies. It allegedly can make you in average 4% per day on your investment, because it wins 86% of all trades. 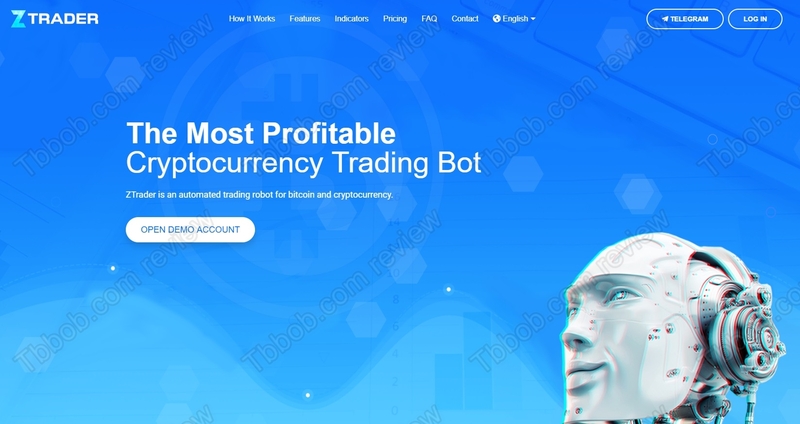 The first red flag with Z Trader is the statement on the home page saying that it is the best crypto robot. If you say something like this, you have to prove it somehow, but ZTrader doesn’t. It is a very bold statement, but it is obviously a lie. What really proves that it is a scam is the proclaimed performance of this robot. 4% per day means 120% per month and you can be sure that no crypto robot in the public domain can make this amount of money. If it was really possible to more than double your money every month for a fee of roughly $1625 per year, this would be a miracle that all media would be talking about. So, no, ZTrader will not double your money every month, because it is a scam. Another big red flag is that ZTrader wants you to deposit your bitcoins with it. This is not how a robot should work. A robot should connect to an exchange and trade there on your account. You should not send any money to the robot owner. Especially when ZTrader is anonymous and you don’t know who is running it. They can just keep your bitcoins and do nothing. ZTrader is a robot that is supposed to trade on your behalf, which makes it an investment advice service, so it needs a licence to be legal. But it is anonymous and illegal. ZTrade is an obvious scam promising you the moon and wanting your bitcoins. Stay away from it! We say it all the time, these public free or cheap robots cannot double your money every month, they are all scams! Profits in crypto trading are not free, you have to learn, test and build your own strategy. You can try it on a free demo with a regulated broker. And remember that in trading you can make, but also lose money, so act accordingly. Some days ago made a deposit to the real mode of this crypto trading robot. We decided to do so after using the demo account, and after verifying the accuracy of the orders made by the robot with the data registered by mayor exchanges (bitfinex, Bittrex, Poloniex, etc.,). But after switching to Real Mode and having sent them the 0.10 BTC required, nothing happens. The money never got to the robot. Many emails sent to costumer support, Telegram, and no answer yet.